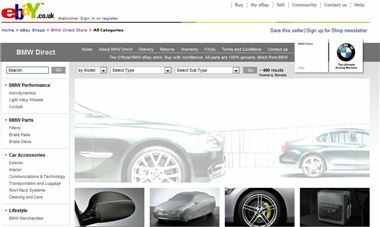 BMW is now selling genuine parts and accessories direct to customers via an online eBay store called ‘BMW Direct.’ Previously, BMW owners would have to order their parts through dealerships, but the new store allows buyers to purchase both genuine parts and other merchandise through a website they already know and use. The eBay store is BMW’s first foray into e-commerce and it’s aimed at reaching customers less likely to visit BMW dealers regularly. The store will be the first of its kind for a carmaker in the UK. It will be operated by BMW UK, with orders being processed by BMW Park Lane in London. You can visit the BMW Direct eBay store here. Such a good idea. I do know that when people try to find things to buy online, the first two sites they go to are ebay and amazon. So having a shop there would greatly improve their sales.